In his keynote speech, Diogo Pinto (EurActiv) will present us with a double challenge. He will invite the sector to suggest pragmatic language solutions aimed at meeting the needs and ambitions of his multilingual company. He will also invite the languages sector to think about language solutions at European level, which contribute directly to the reinforcement of one of the most important pillars of Europe: linguistic diversity and multilingualism – not only for the individual person, but also and especially in terms of how we live as a community, as well as communication and political debate between Europe and Europeans. Diogo Pinto and EurActiv live and breathe multilingualism in all that they do. Diogo Pinto will be present as the founder and editor of EurActiv, which is Europe’s most important publication on European affairs (2 million pages viewed and over 660,000 unique visitors per month). 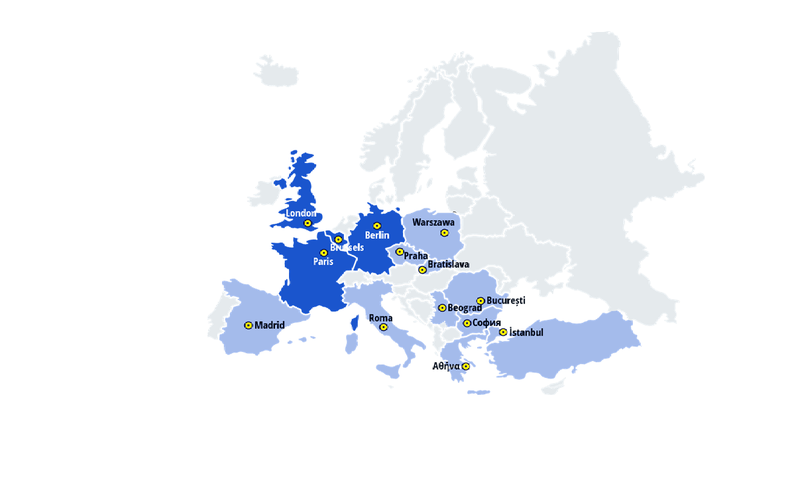 EurActiv is present in 12 capitals across the EU, publishes articles on current developments in Europe and facilitates European political debates for professionals in 12 languages. In his keynote speech, Diogo Pinto will tell us the inspirational story of EurActiv. Which language did it offer at first? Which languages were later added and how did this happen – via a traditional translation process or in a more pragmatic way, in line with his company, its ambitions and the media sector? Which translation technologies did it use? What worked and what did not work? Every morning, EurActiv publishes news in 12 different languages. Who are the people that complete all this multilingual work? What is their profile? How quickly do they work? What quality standards can be expected of them? How much does this “translation” work cost? How is this work developing in relation to the media (less text, more images, etc.)? Moreover, should we not perhaps call this translation work ‘multilingual journalism’? Multilingualism plays a dominant and crucial role in the ambitions of EurActiv. In his keynote speech, Diogo Pinto will also invite the languages sector to come together, in order to think about solutions. Could language solutions that are profitable for EurActiv not also be useful for the European project, political/social debate and reinforcing the language eco-system, which is possibly the most important pillar of the European project? This keynote will be in English with simultaneous interpretation into French and Dutch. 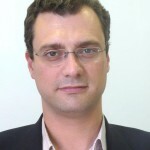 João Diogo Pinto, (°1974 in Nampula, Mozambique) is Secretary General of Fondation EurActiv. He grew up in Guimarães and studied Sociology at the Instituto Superior de Ciências do Trabalho e da Empresa (ISCTE-IUL) in Lisbon, Portugal. He was President of the Portuguese National Youth Council (CNJ) from 1995–1998 and became National Director of Intercultura (AFS) Portugal in 2001. In May 2005, he was elected Secretary General of the European Youth Forum, a platform of national youth councils and international non-governmental youth organisations in Europe, that strives for youth rights in international institutions such as the European Union, the Council of Europe and the United Nations. He stayed with the European Youth Forum until May 2009, when he was offered the position and later appointed as Secretary General of the European Movement International (EMI), one of the largest pan and pro-European civil society organisations with currently more than 70 Member Organisations, bringing together representatives from European associations, political parties, industry and business associations as well as trade unions. He was re-appointed for another three-year term as EMI Secretary General at the EMI Federal Assembly in Brussels on 26 May 2012. He is co-author of two books: “20 Ideias para 2020 – Inovar Portugal” (2005) and “Ideias Perigosas para Portugal” (2010). João Diogo Pinto is a Member of the Steering Group of the Spinelli Group and since 2010 a Board Member of “Fondation EurActiv”. On 10 June 2015, João Diogo Pinto was awarded the class ‘Commander’ of the Order of Prince Henry by Aníbal Cavaco Silva, President of the Portuguese Republic.